More Dink stuff. 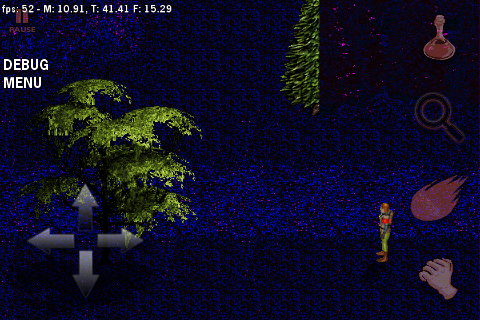 I’ve been focusing on the more technical parts, especially dmod support. Please ignore the ugly temporary GUI I’ve got going now. Day/night mode added! Just kidding, just some palette glitch. Also missing was a way to package and install them. The first DMOD’s (Search For Milli Vanilli and Mystery Island) were packaged with .exe based installers that would locate the dink directory (in the ugliest way possible) and create a directory there. So I thought everybody would create a windows-centric .exe for each add-on? Dumb idea, especially back before the era of nice free install makers. So we ended up with a bunch of zips/rars/lha’s or whatever without a real standard. Then, an enterprising lad from the Dink community by the name of Merlin created DFArc, a utility to help install and manage dmods. Then, the dink community went through the laborious task of converting existing dmods to .dmod format making everybody’s life easier. 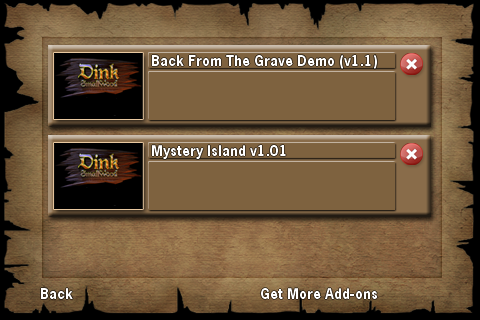 If I want to make the DMOD experience smooth and take advantage of the currently 301 add-ons (some as big as Dink itself), I need to allow you to download and install the original .dmod files. No porting, no special iPhone versions. No repackaging. Enter any URL your heart desires. 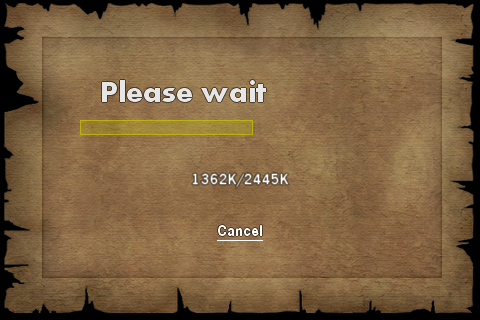 It just better be a .dmod. I searched in vain for a small and portable tar.bz2 unarchiving class so ended up writing one using the bzip2 library. Tar is a dead simple format, especially when you can ignore stored file permissions and the like. I force all files to be lower-case when writing, helps with the case-sensitivity issue. Single pass un-bzip2'ing and un-tar'ing. Quite zippy. Basic, but functional. I will add more text and probably icons for the readme and url if applicable. Ta-da! You're now playing a user made add-on from the comfort of the train and/or bathroom! Incorrect aspect ratio and no midi music yet, but hey, it's playable. Well, most of the technical issues are out of the way so it’s time to move on to interface and better audio. At first I was thinking I wouldn’t need to support midi because I was going to remaster the whole dink audio track, but now I see midi support is a must for dmods. Is there anything with similar functionality that is cheaper? Hurrumph. Thanks to magicman, Ex-D, and scratcher from the Dink Network‘s chat for helping me out. This entry was posted in Development/RTsoft, Dink Smallwood on January 6, 2010 by Seth. Love the development diarys. Thanks for the updates. Interesting stuff, I love that Dink is still “relevant” today. 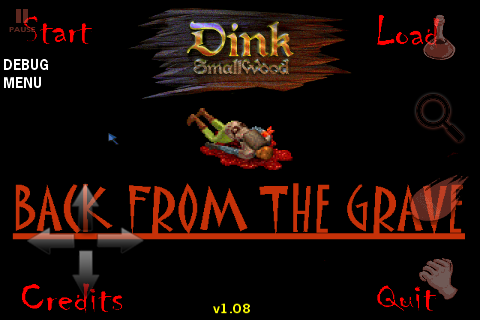 I don’t have an iPhone, but as a Dink fan this sounds pretty cool! Good work Seth *pats on back*. I have no idea what your options are or if it’s portable enough, but fluidsynth can handle MIDI playback pretty well… It’s GPL, though, if that’s a problem. Have you tried to look for ports of module playing libraries? How’s it going, any progress? holy crap! I can’t wait. Wow, nice job, only one question though, will you be making an Android port? Pretty please with a mango on top? Please please please please please please! 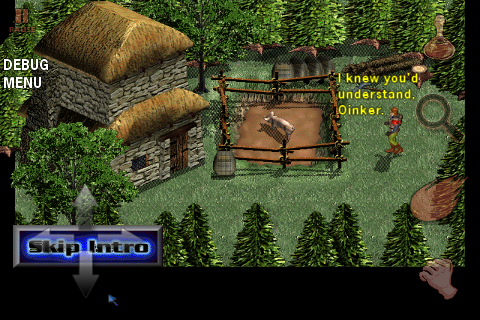 I love the game and it brings me back to my childhood days and I really want to experience the Dink on my Android phone. Will probably start on it in a couple days, will give an update after I get a better idea of how it’s going to perform. Thanks, waiting for more info.